Aretha Franklin died in her hometown of Detroit after a battle with advanced pancreatic cancer of the neuroendocrine type. She was 76 years old. Franklin began her singing career as a child, singing gospel music in the church where her father, C. L. Franklin, was a minister. It wasn't until she was 18 in 1960 that she really started singing professionally. Franklin gained popularity in 1967 when she signed with Atlantic records, recording hit singles like "Respect" and "You Make Me Feel Like a Natural Woman." She was deemed the Queen of Soul by the end of the decade. It was revealed earlier in the week that Aretha Franklin was sick, but specific details were not given. It was later said that the singer was in hospice care. Franklin had some health issues over the years and struggled with an addiction to smoking as well as alcoholism. Rumors of pancreatic cancer started back in the early 2000s after the singer had a tumor removed. However, she denied rumors of the cancer. Franklin's family has released an official statement about her death. The statement reads. In addition to being the Queen of Soul, Aretha Franklin took a role in the the iconic comedy musical, The Blues Brothers in 1980. She played a waitress named Mrs. Murphy who sings the song "Think." Her performance in the movie grew in popularity over the years and she returned to do 1998's Blues Brothers 2000. "Think" was written by Teddy White and Franklin with the music performed by the Blues Brothers. 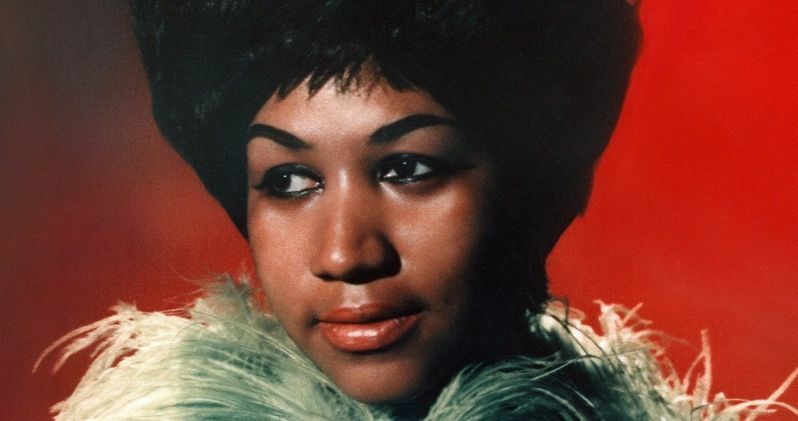 Aretha Franklin's gospel singing was at the root of her voice, but it was the blues element mixed with gospel that earned her the nickname Queen of Soul. Franklin's talents included an extreme vocal flexibility, which meant that she could pretty much sing anything. She also had interpretive intelligence with an impeccable ear that led her intense ability to improvise. In addition, Franklin was also an accomplished piano player, able to sing and play at the same time in a way that seemed nearly impossible to other musicians, much like the late great Nina Simone. Aretha Franklin won 18 Grammy Awards and is one of the biggest selling artists of all time. Her 1967 hit "Respect" was originally written by Otis Redding, who was demanding respect from his wife when he came home from work, but the soul singer reimagined it into an anthem of empowerment that helped fuel the Civil Rights movement in the late 1960s. Her influence can be heard everywhere from current soul music all the way to country music and hip hop. In 2017, the Queen of Soul announced that she would no longer be playing shows, but still kept performing. She last performed at Elton John's AIDS Foundation gala in New York. You can read the family's full statement at the Aretha Franklin website. Rest in Peace and R-E-S-P-E-C-T Aretha Franklin. R.I.P. Thank God for allowing us all to witness his love, brilliance, musical magic and grace in #ArethaFranklin. We were always honored when Aretha would just show up at one of our concerts... without warning. I send my heartfelt condolences to the family and friends of Aretha Franklin. My prayers for comfort are with you all. I am so sorry for your loss.